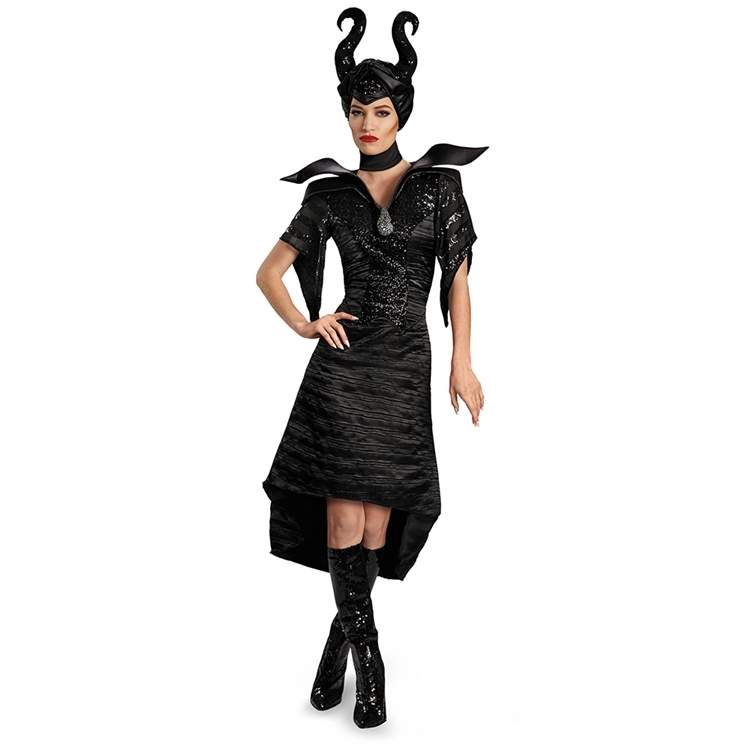 Call upon the forces of nature and defend the forest as Disney's Maleficent. The licensed Adult Deluxe Maleficent Glam Costume features Maleficent's black christening gown with detachable brooch, iconic character headpiece with horns, and matching choker. Available in three women's sizes: Small 4-6, Medium 8-10, Large 12-14.